To Hot Ember cook vegetables it can be done in a cask iron plan, fire box and even in a Hibachi! Try this unique cooking method to add a flare and unique tastes to your outdoor grilling and cooking! I want to be perfectly clear – this is not cooking over hot flame or direct flame. This is cooking after the wood and/or charcoal has burned down in to very hot coals; when the coals develop a white-gray ash coating. THIS is the time to hot ember cook or coal cook these select vegetables. The essence of using all that the wood can give for cooking. That it was ember or coal cooking is. 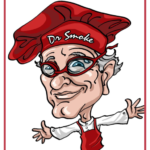 I want to be sure there is no misunderstanding on what is needed to do this type of cooking safely and effectively. Rule #1: If going with all wood for the coals, only use hardwood and clean hardwood at that. You’re going to lay foods into this material so I believe it should be clean and mold free with moisture level 15-20%. If higher, it will simply take longer to get to the coal stage. Rule #2: Again, if using all hardwood, try to limit the bark or go bark-free if possible to reduce the potential for mold spores that can be released into the air. Rule #3: Have everything ready before you start. You’ll need an ash-coal hoe, fire gloves, and small coal shovel at the ready. I would also have tongs for those times when you don’t bury your foods completely in the coals but rather lay them which requires turning of the vegetables. Rule #4: Equipment wise, you can use a charcoal grill that has fire brick added for insulation, a clean fireplace (I prefer an outdoor unit), a clean fire pit, or an open pit built in a safe area with brick or gravel as the base to protect the fire from spreading. On average, it will take about an hour to move a small fire from flame to hot ember. Depending on whether you elect to use charcoal or wood will determine the amount of time the fire needs to burn down – an all charcoal fire will be 30-45 minutes; all hardwood fire about 45-60 minutes. Remember, charcoal produces heat and little smoke, whereas hardwood, produces heat, smoke and specific aromatics and flavorings in that smoke. At the hot ember-coal level, both have equal carbonization and act similar for this method of cooking. Using approximately 8 lbs. of charcoal or 10 lbs. of hardwood, or any combination of the two, light a fire in the equipment of your choice. Let the fire completely burn down until only hot coals remain. Rake the coals to produce a thick even bed. Then select your favorite vegetables from the ones listed below, and you’re on your way! Always keep a small fire going for additional hot coals if doing large amounts of vegetables. 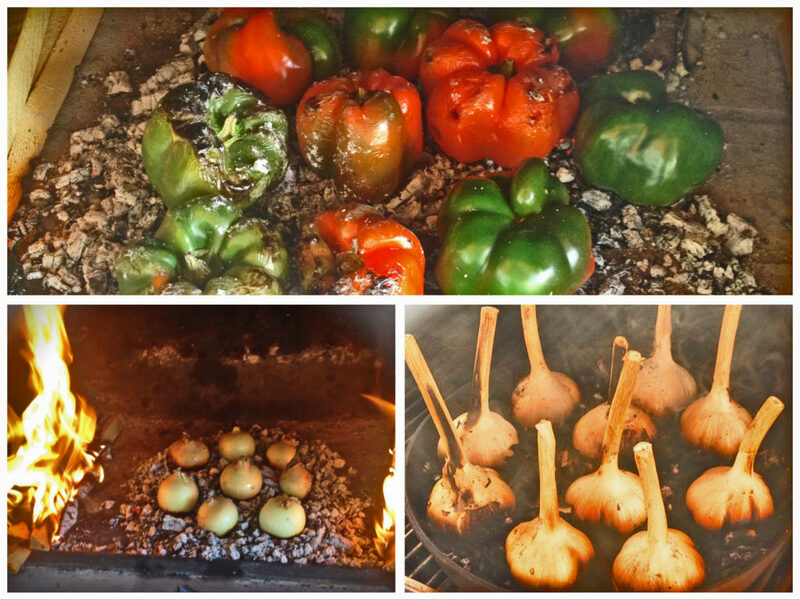 If you want minimal monitoring to the actual cooking process, then place the selected vegetables into the bed of coals and then shovel hot coals and ash over the top so that the entire vegetable surface is covered in embers. Leave untouched until tenderized, which will be 45-60 minutes depending on the vegetable selected. Otherwise, you can set vegetables within the coal bed and turn them during the cooking process to ensure even char.